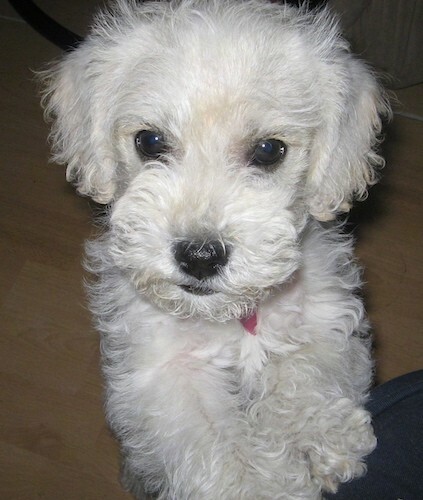 "Cesa is a Schnoodle puppy (Schnauzer-Poodle mix). She loves to play and loves her family. One of her favorite games is fetch. She also loves tug-of-war. When we teach her new things, she catches on really fast. She's very smart! Cesa knows how to shake, sit, speak, come, lay down, and "do your hair". She is wary of strangers though, so we're trying to get her used to people. We travel full-time in evangelism, so we're always around different people. But, she's doing good. She absolutely loves her family and cries when we leave. She loves us all soooooo much!!"